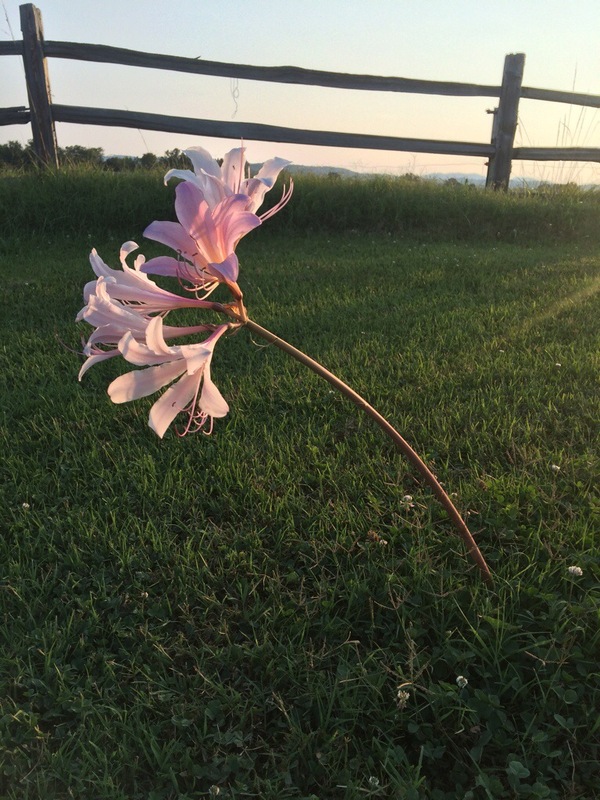 The surprise lily is a fun flower that pops up from the ground after most other flowers are done blooming. 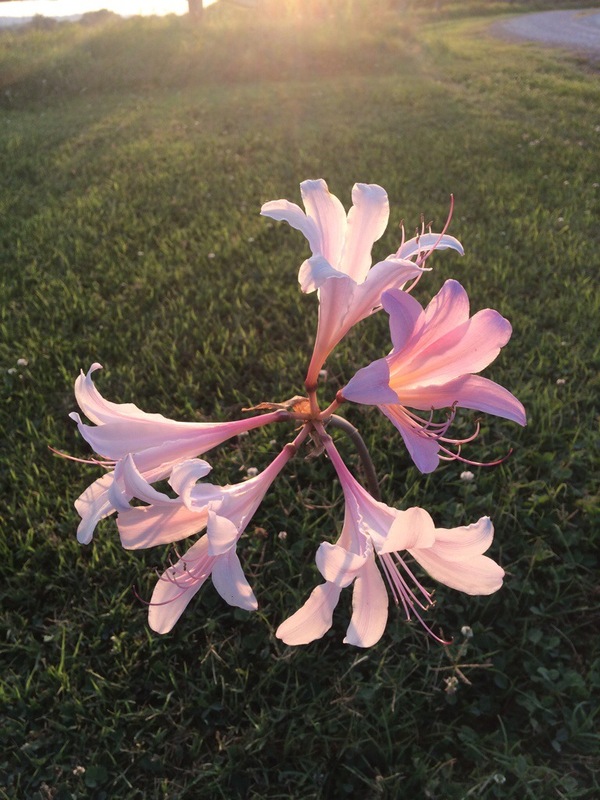 It goes by names like magic lily, resurrection lily, pink flamingo flower, hurricane lily, spider lily, naked lily and even naked lady due to its long stem with no leaves. This fragrant flower is nearly two feet tall. It’s always fun to discover new things growing on the farm.